Most people report tinnitus to be more bothersome when their environment is quiet. This is because there is no external noise to “mask” or cover up your tinnitus. This can have a negative affect on sleep. Enriching your environment with soft background noise may be a simple way of reducing the disturbance of your tinnitus in these quiet environments. This may be as simple as turning on a ceiling fan which makes a humming noise or using a sound generator by your bed which plays environmental sounds such as rain, waves, or birds chirping. Giving your brain some positive stimulation can give you some relief from your tinnitus. Research has also shown that reducing your alcohol, nicotine, salt, or even caffeine intake can reduce your tinnitus level. Look at your diet and see if you are consuming any of these in excess. Stress also plays a big part in your awareness of your tinnitus. 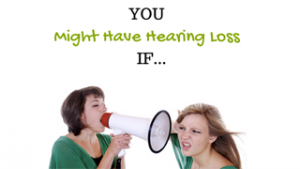 If you are able to reduce your overall stress level, your tinnitus may improve. Try meditation, deep breathing or even taking a walk when you feel stressed or your tinnitus is bothersome. Some people have found relief of their tinnitus by taking minerals such as zinc or magnesium, or some herbal supplements such as Ginkgo biloba or B vitamins. The most important thing you can do to help manage your tinnitus is to avoid loud noises, such as loud music, gunfire, sirens, concerts, or power tools. These loud noises can make the tinnitus worse. If you are going to be exposed to these loud sounds, wear hearing protection.